Dental practice MEDENTA pays special attention to the youngest population – children. First visit to the dentist sometimes is a key precondition for the further development of trust and successful cooperation between the little patient and his dentist. 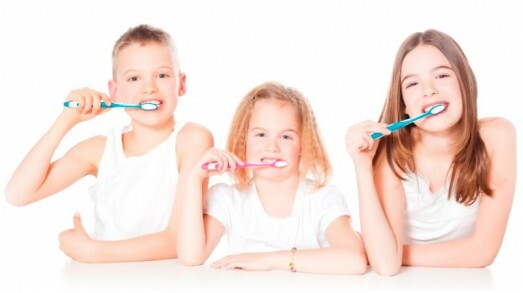 A parent and a child should be motivated and trained how to perform brushing technique, maintain daily hygiene of the oral cavity, and how to properly reduce the risk of cavities. There is no certain answer to the question: The first time you bring your child to the dentist? It would be best to come spontaneously, when a small patient does not have any problems. The first contact should be that a child gets familiar with the working methods, apparatus, so they can animated on the right way in order for them to be happy and ready to come again. The first intervention that is completely painless and acceptable to children, and very important when it comes to prevention is the fissure. Watered fissures of all teeth, in order to protect the surface of the tooth where caries most likely appears. It is important to point out that children become ideal patients when they gain full confidence and when they are ready to have anesthesia while doing more complicated interventions, such as treatment of deep caries, extraction of deciduous teeth and even tooth treatment (which is mainly mortal amputation).